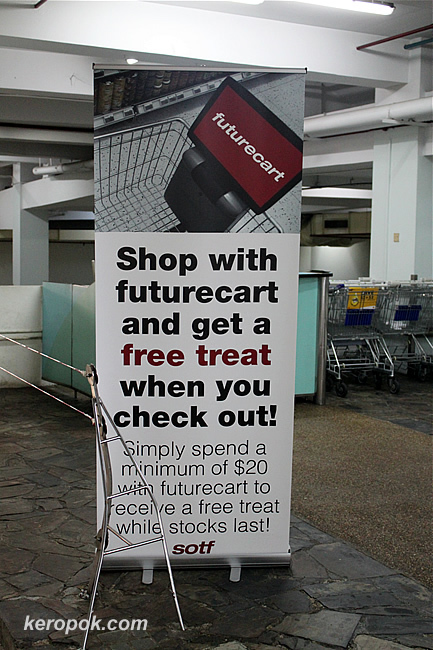 Some "Cold Storage" branded supermarkets have this new high tech shopping carts in their stores. I have yet to hold one of it (I just took a photo of this poster), but it reminded me of an assignment for one of the modules of my Masters course I took around 6 years ago. Not sure what the function of this cart has, but our proposal had sensors on both carts and around the store that can keep track of user behaviour and show relevant promotion as they go through the aisles. There were many other things too, but I can't remember the details.